Go to CAMPAIGNS on the homepage. 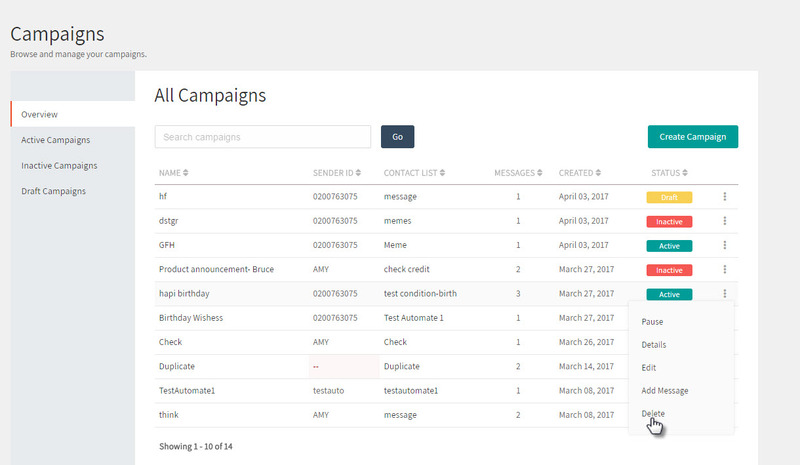 By default, a list of all campaigns is displayed. 4. Click Yes to confirm deleting the campaign. After deleting it, you will not be able to view its performance unless you have downloaded the report.